This was my first official ‘groundhopping’ event. I’d wanted to experience such an occasion for a while so went for the full package – five games spread over Friday night and Saturday, the official coach between games and a hotel for two nights. It was like ‘coming out’, standing up in front of others to announce ‘My name is groundhog and I’m a groundaholic’. It was like holding a mirror up to myself. (Not sure I liked what I saw). Reservations, of a non booking sort, were that the CML is a minor league that starts at step seven. I normally avoid step seven and below on account of it being too agricultural – I like grounds, not fields. Also, would five games in two days be too much – would it cure me forever of my hobby, along the same principles that ‘flooding’ can cure a phobia? I hadn’t heard of nine out of the ten teams on offer, the exception being South Normanton Athletic. Two games were in the Supreme Division(step seven) and three in the Premier (step eight). I hadn’t a clue where these places were, except somewhere in the central midlands. First up was Kinsley Boys. Not only had I not heard of Kinsley, I hadn’t heard of the bigger place that was referenced as it being near to (Hemsworth). It was in a sprawl of forgotten villages and football teams suffixed with ‘Miners Welfare’, somewhere between Wakefield and Doncaster. I set up base in Doncaster in the late afternoon, before driving the 15 odd miles to Kinsley, through Hemsworth, where I had some wonderful Fish and Chips. 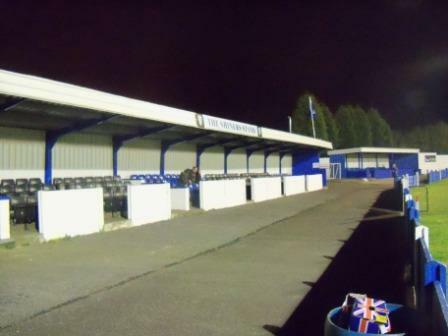 The ground is set just off the main road, on the opposite side to Kinsley Greyhound Stadium. Were it not for the dogtrack it would be easy to blink and drive through Kinsley. The promise of a newly opened clubhouse selling real ale was the deal clincher for this mad weekend, but the plaster had barely dried on the new, unpainted walls, where cans of generic beer (the usual John Smiths/Tetley/Fosters/Carling bilgewater) were sold from a trestle table at the back of the empty building. I went for a coffee. Given the heatwave that we’d have that week I’d been foolish enough to cast a clout before May was out, and was thus massively under-dressed, in a leather jacket with no scarf, gloves or hat, and utterly freezing, as the prevailing wind was now obviously coming from the arctic rather than the med. The ground had floodlights but was devoid of all stands. Playing Fields was an apt name for the ‘ground’. The game matched my expectations of my previous sojourns to low level non-league; the standard being so bad that chances and goals were seldom on account of the players’ lack of footballing talent. It was a dire game, the only goal coming from a penalty in the second half. The day started off at Doncaster Station at 9.00am where all the hoppers, some from hundreds of miles away, boarded the official coach. A furtive crowd shuffled about near the entrance, unmistakeably my group. What is the collective name for groundhoppers? A dishevelledness? Furtivity? Whatever we are, a bewildering collection of facial hair, bad breath and poor mental health entered the coach…but enough about me. 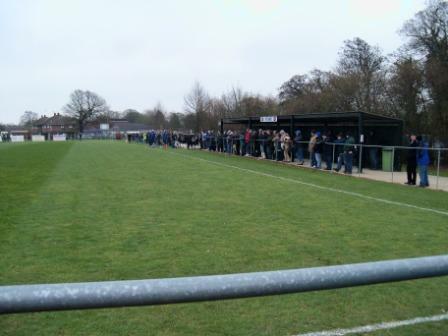 The Central Midlands League is generally regarded as one of the strongest step seven leagues in the country. 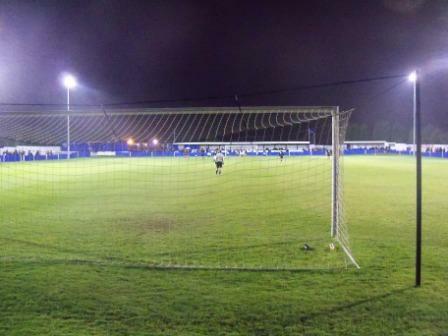 Until recently the Supreme Division required floodlights for the grounds of all teams; but this rule was relaxed. A few years back several of the top teams in the League made up a new step six league – the East Midlands League – along with teams from the Leicestershire and Northern Counties East leagues. 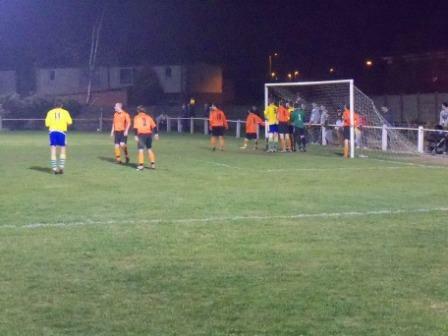 The first match of the day in Brinsworth, Rotherham was the earliest kick off ever – 10.15. Surely the players would be nursing hangovers at that time? 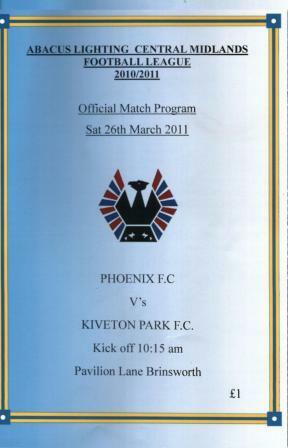 Phoenix Sports & Social v Kiveton Park. Real ale was on offer here – though at a time normally reserved for alcoholics. Didn’t stop me and the beer and clubhouse were excellent. 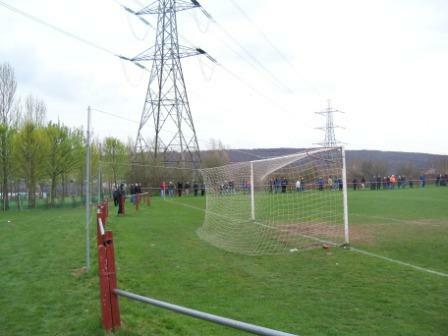 The ground was quite a distance from the clubhouse, one small covered stand with corrugated roof, but no floodlights. Despite it’s scant furnishings the ground did have a bit of charm about it; framed on one side by poplars and overlooked by huge power pylons – making for some good photo opportunities. The game was appalling, though, and the temperature still arctic. Maybe it was just too early for the players. The only talking point the crossbar being hit; but even in the subset of woodwork incidents, it wasn’t a classic. 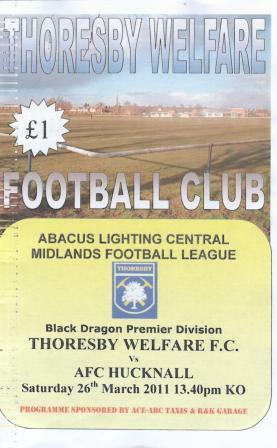 Two games down – one goal scored (from a pen) and we were off to Edwinstowe, near Sherwood Forest for Thoresby Welfare v AFC Hucknall. 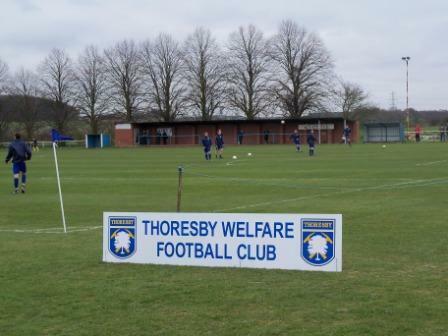 Thoresby’s ground was a pitch among a sea of pitches over a vast area. The clubhouse was also a full pitch length away from the ‘ground’. The stand was a strange long brick affair. Another achingly dull affair with a home goal on two minutes and equaliser on 90 bookending a bone-chillingly awful game. Three games, three goals. On the way out I bought a home replica shirt for a £1 to help keep me warm for the following pair of games. 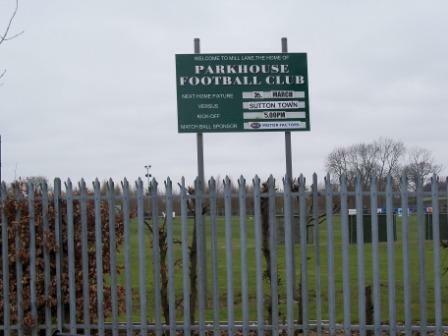 On to Parkhouse FC, another club playing in the middle of nowhere – near Clay Cross? No. Never heard of that. About ten miles south of Chesterfield. I have to confess to being thoroughly depressed by this stage. The games were dreadful, the grounds not really grounds and the cold was enough to give me empathy for Ivan Denisovic. If it wasn’t for the good company of the bloke I was sat next to I may’ve been tempted to slope off to the nearest station. However, the coach was warm. 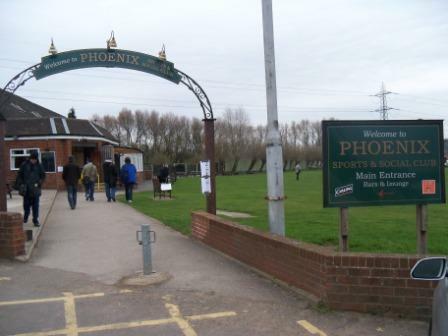 Parkhouse FC was another unfloodlit park with small stand, being furiously photographed by the denizens of hoppers/bloggers present. This game was a marked improvement and started off a pleasing arithmetic progression – until now the average goals per game was exactly one, after this game exactly two, after the fifth game, exactly three. 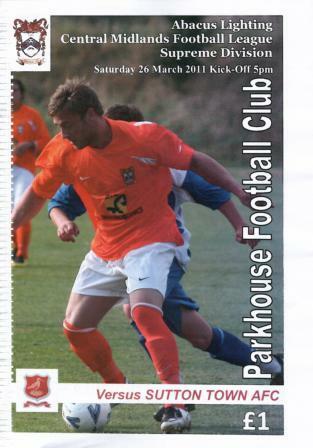 Two massive long shots gave Parkhouse a two goal half time lead – both belters. Three more goals in the second half, including an exquisite one-two and smash into top corner, completed a great victory for Parkhouse. The best was definitely left until last. In all ways. Finally a decent ground with stands and floodlights and everything. The best game too. I no longer felt the cold as I had reached that euphoria/calm that signifies advanced hypothermia just before death… so I could enjoy the game. Also, with there being structures there was shelter from the wind driving up the adjacent M1. 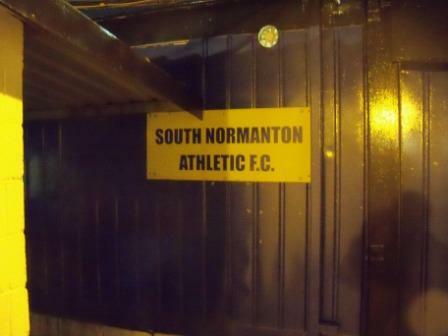 South Normanton is east of Alfreton and the team used to play at a higher level. You could tell – their ground is surely the biggest step eight ground in the country. It would look the part at step three. 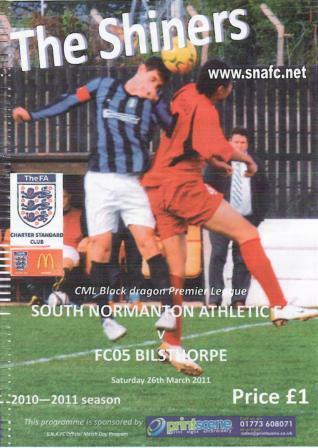 They were top and FC05 Bilsthorpe were bottom. Their recent meeting had finished 0-7 so there was serious thought of a double figures scoreline tonight. 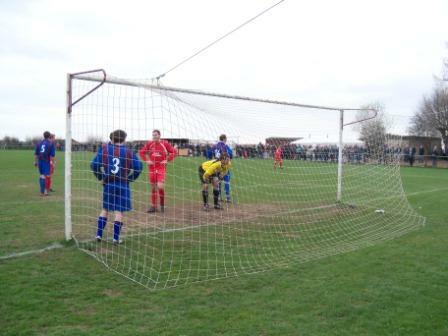 However, the final score was misleading as Bilsthorpe put in a fine performance, making a proper match of it. When they got back to 2-1 in the second half most of the crowd were hoping for a shock comeback. As it was they ran out of legs and SNA ran away with it in the end, but it was a great game nonetheless. Despite the moaning it was a superbly organised event and good value too. Just wished I’d packed some more clothes. Would I go again? Probably not to grounds at this level, but if hops exist at slightly higher levels, then definitely. Saying that, I have my eye on the August Welsh hop which would undoubtedly involve grounds of an equally small scale, if not smaller! Damn this addiction. This entry was posted in Groundhopping, Travelog and tagged central midlands league, kinsley boys, parkhouse fc, phoenix sports & social, south normanton athletic, thoresby Welfare. Bookmark the permalink. Thanks for the comment. Had a quick look at your blog – the testimonials I thought was amusing! 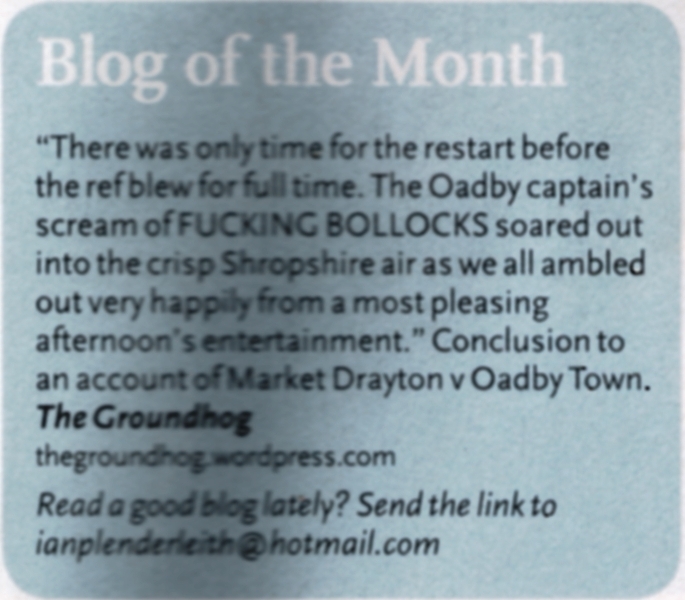 Keep up the blogging and I hope Shrewsbury get promoted next year. Your half century of grounds should come shortly I presume. I didn’t know whether to include step seven or below in my list – where does one draw the line? I draw the line when you no longer have to pay to get in, there is a small ground around the corner from my house called the nalgo for which I have paid admission but opted not to include it as it makes me look a desperate when I include minor league grounds, although the facilities were better than some of the grounds I have included. It’s a shame that the grounds I visit are pretty much restricted to who Shrewsbury are playing so I’m upset at not getting to go to Hillsborough and Bramall Lane next season. Having said that I hope to finally go to Valley Parade and the Crown Ground next season and Swindon and Bristol Rovers will be new ones.